Land Rover part numbers for reference: SPB500200, STC1530. Defender - 300TDi TD5 TD4, 1994 Onwards. Wheel Nuts Hi lift jacks & Acc. Tyres Safari Snorkes Defender Parts Discovery Parts Range Rover Parts Wheels Tools Gift Ideas Series Discovery 1 89-93 Discovery 1 94-98 Discovery 2 99-04 Range Rover Classic Range Rover P38 Range Rover l322 Freelander Discovery 3 Defender 90 & 110. Discovery 1 – VIN LA063968 onwards. Handbrake Cable. Range Rover Classic – VIN KA628987 onwards. PARTS >> ACCESSORIES >> DEFENDER SERIES DISCOVERY 1 1989 to 1998 DISCOVERY 2 1999 to 2003 DISCOVERY 3 2005 to 2009 DISCOVERY 4 2010 to 2016 DISCOVERY SPORT 2015 on FREELANDER 1 1996 to 2006 FREELANDER 2 2006 to 2014 RANGE ROVER CLASSIC RANGE ROVER P38 RANGE ROVER L322 2002 to 2012 RANGE ROVER L405 2013 on RANGE ROVER SPORT RANGE ROVER EVOQUE UPGRADES >> TOOLS,OILS AND OTHER DIY >> Books Manuals and Gifts. Equivalent to Land Rover SPB000150 (used for reference only). Discovery 2 – VIN XA224664 onwards. Handbrake Cable Assembly. PARTS >> ACCESSORIES >> DEFENDER SERIES DISCOVERY 1 1989 to 1998 DISCOVERY 2 1999 to 2003 DISCOVERY 3 2005 to 2009 DISCOVERY 4 2010 to 2016 DISCOVERY SPORT 2015 on FREELANDER 1 1996 to 2006 FREELANDER 2 2006 to 2014 RANGE ROVER CLASSIC RANGE ROVER P38 RANGE ROVER L322 2002 to 2012 RANGE ROVER L405 2013 on RANGE ROVER SPORT RANGE ROVER EVOQUE UPGRADES >> TOOLS,OILS AND OTHER DIY >> Books Manuals and Gifts. PART NUMBER NTC3480. KEITHGOTT LAND ROVERS. WE CAN TAKE ORDERS OVER THE PHONE. Hand Brake Cable For Land Rover Defender from VIN LA935630 (Approx 1994) Corresponds to Land Rover Ref SPB000160 Fits:- - Defender From VIN Number LA935630 Tdi 300,Td5, 2.4 Tdci (Puma). SPB000150 Handbrake Cable. Part Number: SPB000150. 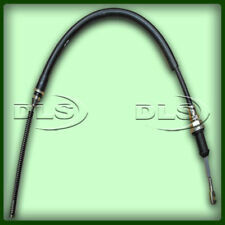 Land Rover Discovery 2 Handbrake Cable. Land Rover Discovery 2 (2000-2004). Land Rover Parts. Discovery Parts. Series 2 & 3 - Defender 90/110/130, Discovery 1,2,3,4,5 & Sport - Freelander 1 & 2 - Range Rover Classic, P38, L322, L405, Sport & Evoque. OE part No:- SPB000150. Wheel Nuts Hi lift jacks & Acc. Tyres Safari Snorkes Defender Parts Discovery Parts Range Rover Parts Wheels Tools Gift Ideas Series Discovery 1 89-93 Discovery 1 94-98 Discovery 2 99-04 Range Rover Classic Range Rover P38 Range Rover l322 Freelander Discovery 3 Defender 90 & 110. Equivalent to part number NRC5088. All Righthand Drive (RHD) Defender models upto 1994 with rod operated handbrake. Handbrake cable. Upto Chassis LA935629 (mid 1994). Independent Land Rover Specialists. OE part number for reference only:-ANR1419. Wheel Nuts Hi lift jacks & Acc. Tyres Safari Snorkes Defender Parts Discovery Parts Range Rover Parts Wheels Tools Gift Ideas Series Discovery 1 89-93 Discovery 1 94-98 Discovery 2 99-04 Range Rover Classic Range Rover P38 Range Rover l322 Freelander Discovery 3 Defender 90 & 110. Suitable for all Td5 & V8 models from chassis number 1A710609. 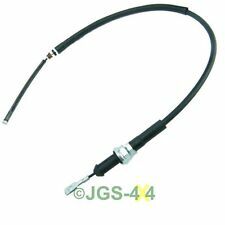 Land Rover Discovery 2 Handbrake Cable. FREE CARRIAGE APPLIES TO MAINLAND UK ONLY. Pictures are for reference only and specifications may alter without notice. Part Number: SPB500200. 300TDI, TD5 & TD4 (1994 Onwards). Defender Handbrake Cable. Land Rover Defender New Transmission Handbrake Cable. Land Rover Defender 90, 110 & 130. Defender Parts. Series 2 & 3 - Defender 90/110/130, Discovery 1,2,3,4,5 & Sport - Freelander 1 & 2 - Range Rover Classic, P38, L322, L405, Sport & Evoque. Equivalent to Land Rover NTC6125 (used for reference only). Discovery 1 – 1993 to 1994 model year – with LT77 gearbox. Handbrake Cable Assembly. PARTS >> ACCESSORIES >> DEFENDER SERIES DISCOVERY 1 1989 to 1998 DISCOVERY 2 1999 to 2003 DISCOVERY 3 2005 to 2009 DISCOVERY 4 2010 to 2016 DISCOVERY SPORT 2015 on FREELANDER 1 1996 to 2006 FREELANDER 2 2006 to 2014 RANGE ROVER CLASSIC RANGE ROVER P38 RANGE ROVER L322 2002 to 2012 RANGE ROVER L405 2013 on RANGE ROVER SPORT RANGE ROVER EVOQUE UPGRADES >> TOOLS,OILS AND OTHER DIY >> Books Manuals and Gifts. Land Rover Defenders 1987-1994 LA935629. DEFENDER (NOT NAS) All 1994 - 1994 90 Only RHD > LA935629. Equivalent to Part No NRC5088. DEFENDER (NOT NAS) All 1987 - 1993 90 Only RHD. This is for 1 New Quality Hand Brake Cable suitable for. 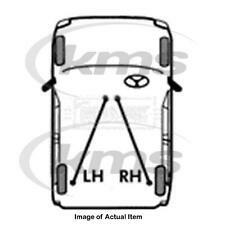 New part Number: LR019223. Discovery 3 2004 - 2009. have to send us your old unit back. Range Rover Sport 2005-2009. You must send your old unit back to us otherwise the warranty of your Module. Land Rover Defender Hand brake Cable. Land Rover Defender 90, 110. 1994 On-Wards. Suitable for all 300Tdi / Td5 / 2.2 Puma / 2.4 Puma & V8 models from chassis number LA935630. Land Rover Defender Handbrake Cable. FREE CARRIAGE APPLIES TO MAINLAND UK ONLY. Pictures are for reference only and specifications may alter without notice. 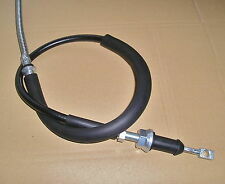 NTC3480 Handbrake Cable. Part Number: NTC3480. Land Rover Defender 110 Rod Operated Handbrake Cable. handbrake drum to see if the cable goes into the drum or. Land Rover Defender 110. Defender Parts. Series 2 & 3 - Defender 90/110/130, Discovery 1,2,3,4,5 & Sport - Freelander 1 & 2 - Range Rover Classic, P38, L322, L405, Sport & Evoque. PART No NTC3414, NTC9400. DISCOVERY 1 All 1993 - 1993 > KA055568. Discovery 1 1989-1993 (200 Series). DISCOVERY 1 All 1989 - 1992. Range Rover Classic 1987-1988. RANGE ROVER CLASSIC All 1987 - 1988. This is for 1 New Quality Hand Brake Cable suitable for. NRC9455 x 1 and NRC7874 x2. 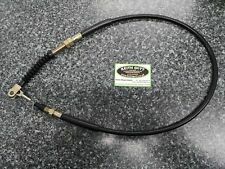 Land Rover Defender FULL FLEXI BRAKE HOSE KIT. Land Rover Defender (1986-2004). FOR FRONT AND REAR BRAKES. This is for a set of 3New Quality flexible Brake Hoses. Any item which has failed will be subject to their inspection. Part Number NTC3480, NRC5089. Land Rover Defender 110 With Rod/Lever Operated Hand Brake. Quality New Hand Brake Cable. Unsure Look at the back of you handbrake drum to see if the cable goes into the drum or attaches to a lever. Part Number for refernace only - SWS500030 / TAR100070. LAND ROVER DISCOVERY 2 REAR ABS SENSOR. Part Number: LR072318. Land Rover Discovery 4 and Range Rover Sport Refurbished Parking Brake Module Handbrake Module EBP Actuator With 1 year warranty. Discovery 4 2010 - 2016. have to send us your old unit with all 3 Cables. Land Rover Discovery 3 and Range Rover Sport and Range Rover Vouge handbrake module cable for left side park brake module repair cable. Land Rover Discovery 3 2004 - 2009. Land Rover Discovery 4 2009 - 2016. Handbremsseil für alle Defender ab Bj. 94 (VIN LA935360), Land Rover Part No. zu Vergleichszwecken SPB500200 cable handbrake STC1530. Part Number: NRC5088. 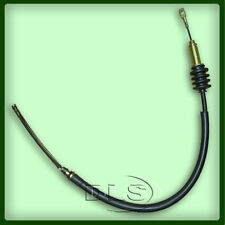 Land Rover Defender 90 /110 RHD Handbrake Cable. Suitable for all Defender models upto chassic number LA935629 with rod operated drum. FREE CARRIAGE APPLIES TO MAINLAND UK ONLY. Land Rover part numbers for reference only: NTC9400 also supersedes NTC3414. A new handbrake cable. Wheel Nuts Hi lift jacks & Acc. Tyres Safari Snorkes Defender Parts Discovery Parts Range Rover Parts Wheels Tools Gift Ideas Series Discovery 1 89-93 Discovery 1 94-98 Discovery 2 99-04 Range Rover Classic Range Rover P38 Range Rover l322 Freelander Discovery 3 Defender 90 & 110. Freelander 2 Handbrake Cables. 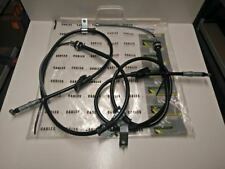 Land Rover Freelander 2 New OEM Handbrake Cables (Pair). Land Rover Freelander 2, (2007-2014). Freelander Parts. Series 2 & 3 - Defender 90/110/130, Discovery 1,2,3,4,5 & Sport - Freelander 1 & 2 - Range Rover Classic, P38, L322, L405, Sport & Evoque. 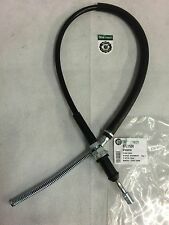 LAND ROVER FREELANDER 1 (UP TO 2001) HAND BRAKE CABLES (PAIR) RHS LHS **YOU ARE A PAIR OF HAND BRAKE CABLES FOR THE LEFT HAND SIDE AND RIGHT HAND SIDE** Make Model Engine Years Notes Land Rover Freelander 1 All Up to 2001 Up To Chassis No YA999999 PART NUMBER - SPB101301/SPB101311 Manufacturers part numbers are used for identification purposes only. **** PLEASE READ OUR WARRANTY, RETURNS DELIVERY TERMSBEFORE BUYING. Land Rover Discovery 3 2004 - 2009. Land Rover Discovery 4 2009 - 2016. C'est une pièce d'origine Land Rover. Range Rover sport 2005-20013. STC1528 Handbrake Cable. Part Number: STC1528. 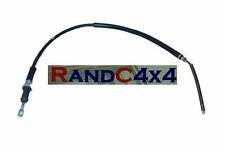 Land Rover Discovery 1 Transmission Handbrake Cable. Land Rover Discovery 1 (1994-1998). Land Rover Parts. Discovery Parts. Series 2 & 3 - Defender 90/110/130, Discovery 1,2,3,4,5 & Sport - Freelander 1 & 2 - Range Rover Classic, P38, L322, L405, Sport & Evoque. SPB000150 câble de frein à main Land Rover Discovery 2 TD5. OE partie Non: - SPB000150. Manufacturer Part Number SPB000150. écrous de roue Salut lever prises & ACC. Manilles de Bow Cordes et sangles Treuils & ACC. SUCH AS COLOUR FADE OR SMALL SCRATCHES. With a great range of car care and accessories to see you through all seasons. serving the public for over 50 years. 50 years of experience to help and guide you through your enquiry. Land Rover part number: STC1528. 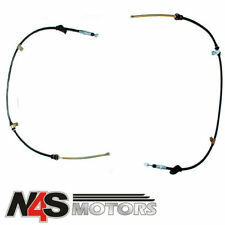 Land Rover Discovery 1 Tdi & V8 New Transmission Handbrake Cable. Suitable for: Land Rover Discovery 1 (1994-1998) From Chassis Number: LA063968. OR Northern Ireland, Southern Ireland, Scottish Isles, Channel Isles, All other isles off the mainland. Manufacturer Part Number STC1530. Câble de frein à main Land Rover Defender 300tdi. Composants Véritable Bearmach Haute Qualité. connue partout dans le monde pour les pièces de haute qualité. Convient pour tous les défenseurs de Land Rover, de VIN No : LA935630.